Suspended Eddies was a large-scale airborne sculpture made of shaped aluminum mesh. 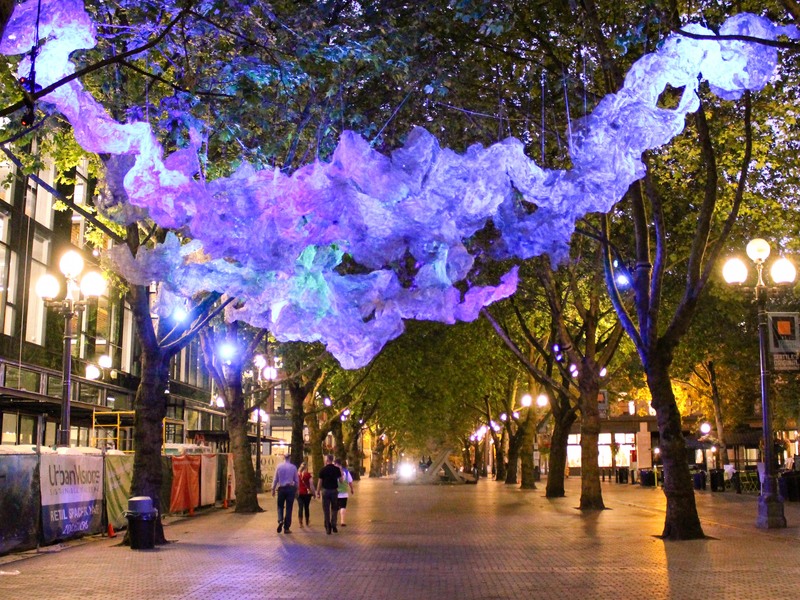 It swirled and twisted through the London Plane trees of Occidental Mall from August to mid-October 2016. Lit purple, blue and green, Suspended Eddies evoked gentle curls of water, suggesting a place to rest and consider your surroundings before rejoining the current of everyday life in an urban space. It was built by local artist Sophia Wheelwright and illuminated each night by Seattle-based lighting and systems designer David Thomas Verkade.